Samsung unveiled a lot of new hardware yesterday, including four "conventional" smartphones, a handset that can seamlessly transform into a small tablet, a reasonably priced smartwatch, a sleek pair of wireless earbuds, and an entry-level activity tracker. But one thing the company did not announce at its latest glamorous Unpacked event is an upgraded VR headset. Remember virtual reality? It was billed as the next big thing for both the mobile and computer industry just a few years ago, failing to take off as the content is simply not immersive or addictive enough, while high-end devices remain prohibitively priced and tied to similarly expensive PCs. Of course, the Gear VR is different, fetching a little over $100 in its most recent variant and requiring a Galaxy phone to transport you into a new dimension. Said variant was released back in 2017 with a bundled controller and compatibility for the Galaxy Note 8 and Galaxy S8, as well as older Samsung flagship phones. Prior to that, the Gear VR was either refreshed or upgraded every time a new Galaxy high-ender came out, but since then, Samsung stopped putting much effort into virtual reality. 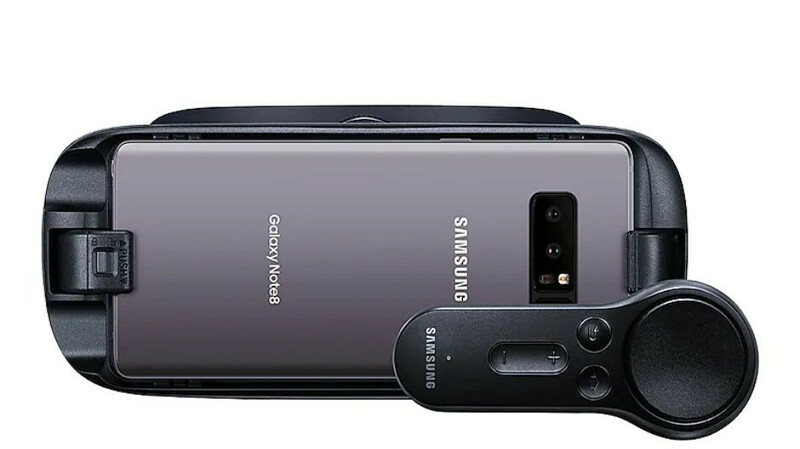 Nonetheless, The Verge and Road to VR are reporting the Galaxy S10, S10+, S10e, and S10 5G will all work with the latest Gear VR edition, requiring no workaround or special connecting accessory. All you need is an adapter that already ships with the affordable virtual reality headset as standard. That's different from the Galaxy Note 9 situation, mind you, as the S Pen-wielding handset required a special adapter that you could get free of charge... if you expressly asked for it by calling Samsung. Basically, it looks like the company isn't giving up on virtual reality altogether just yet, but it's certainly not doing much to advertise and help the technology evolve either. Its a shame they arn't promoting it more because its really fun to play the games they have like Minecraft and Smash. They also have this app called phonecast. Its in beta but what it dose is it puts you into a 3d space and lets you open any app on your phone in a 2d floating window. Nothing like kicking back with a gameboy emulator on the sofa with an xbox one controller playing some old school games. As long as the game or app you want to play can be configured to use an external controller they are all fun to use this way. There is way better VR apps than that. Plus it plays not only Gear VR apps, but Steam apps, and Daydream VR apps as well.